That is one reason P1 Group hosted the Great Plains chapter of the National Environmental Balancing Bureau (NEBB) for the inaugural Test Adjust Balance (TAB) seminar January 24 and 25. There were 37 participants from NEBB-chapter firms in Iowa, Kansas, Nebraska and Missouri. The seminar was in preparation for the NEBB TAB technician test. The content covered the fundamentals of air, water and fan laws presented in the form of lecture, presentation and interactive problem solving. Phil also notes that NEBB’s purpose is to ensure top quality of service in Commissioning and TAB, which requires stringent testing requirements to become certified. 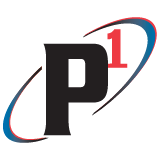 The focus of the P1 Group training center is on teaching systems, rather than specific equipment, to help technicians better understand design intent, application of the equipment and the control strategy that supports the outcome. “We greatly appreciate the hospitality and generosity P1 Group showed to our chapter,” Phil Doud, Great Plains NEBB President, said. P1 Group has been a member of NEBB since 1972.